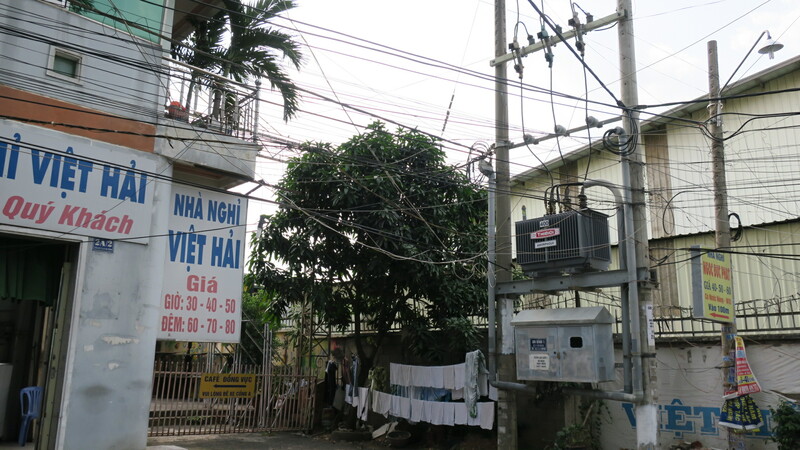 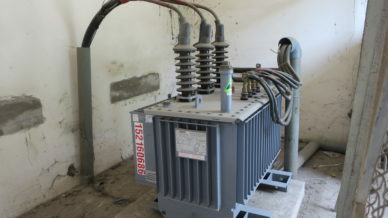 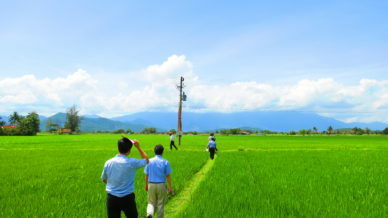 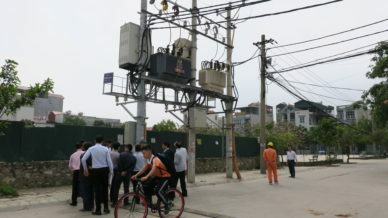 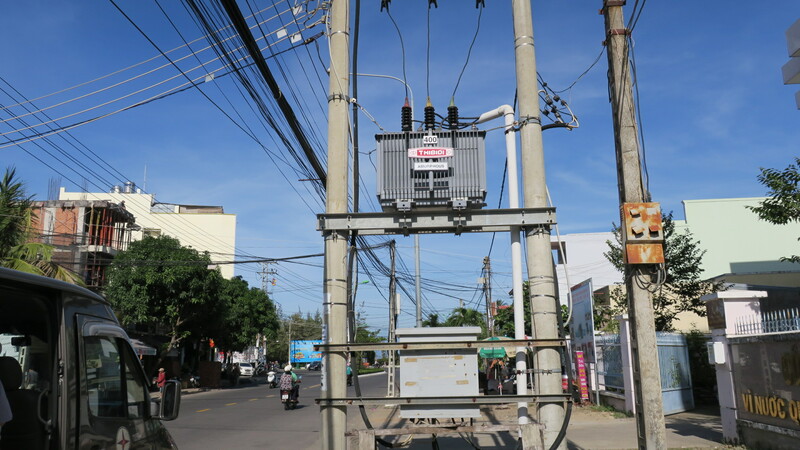 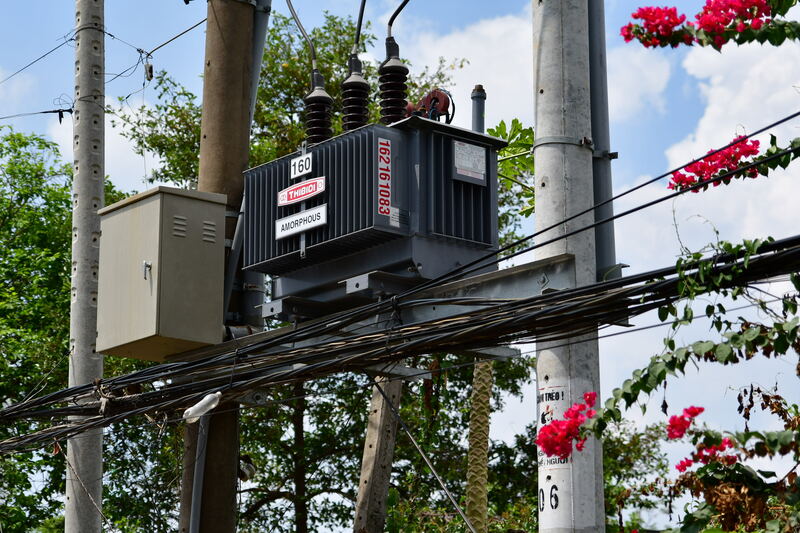 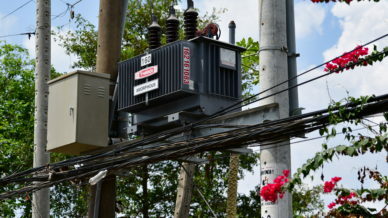 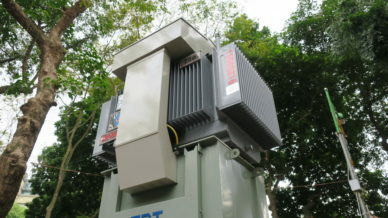 The purpose of this project is to reduce CO2 emission through the promotion of amorphous high efficiency transformers in southern and central power distribution systems of Vietnam. 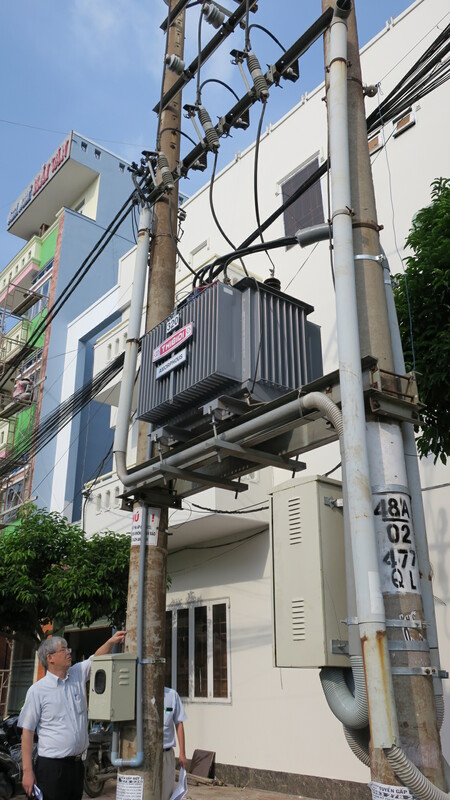 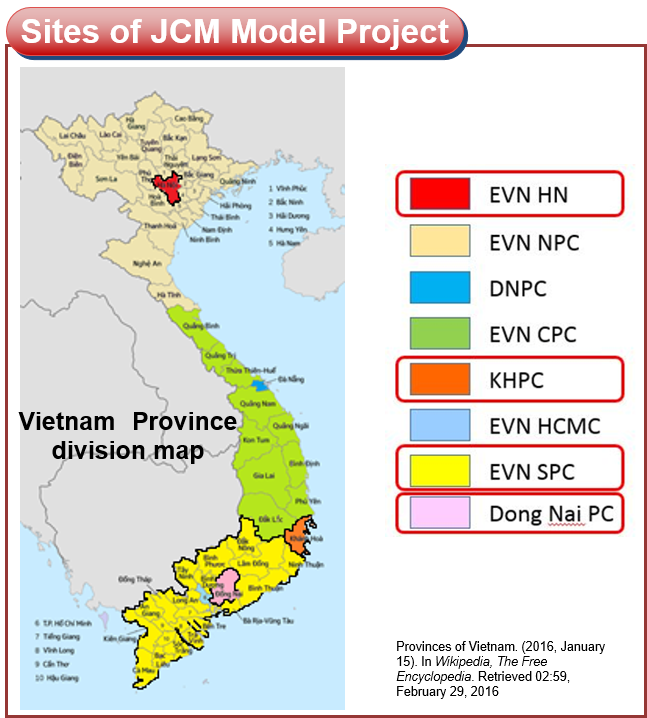 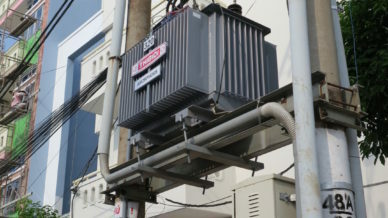 3,672 transformers in total (2,364 for EVN SPC (Southern power grid), 186 for EVN HANOI, 416 for KHANH HOA PC, and 706 for DON NAI PC) are introduced to realize a reduction of distribution losses which contribute to CO2 emission reduction. 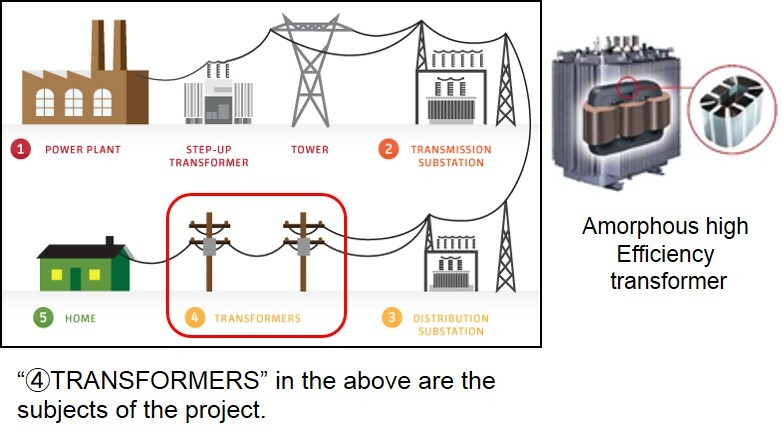 Hitachi Metals in Japan supplies Amorphous alloy to be used as core of the transformers, then THIBIDI and HANAKA fabricates the transformers.